Sullivent, Damian S. - Groelle & Salmon P.A. Damian S. Sullivent is an associate attorney in the Tampa office of Groelle & Salmon, P.A. where he primarily defends insurance carriers in first-party property claims. Prior to joining Groelle & Salmon, P.A., Mr. Sullivent gained valuable litigation experience by helping represent plaintiffs in personal injury and employment matters. Mr. Sullivent earned his Bachelor’s degree in Political Science from the University of Georgia in 2012, and worked for one of Georgia’s premiere personal injury and litigation firms prior to attending law school. 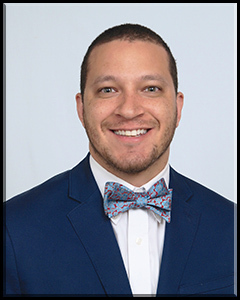 Mr. Sullivent earned his Juris Doctorate from Florida Coastal School of Law in 2016; placing a strong emphases on civil litigation and the litigation process. When he is not practicing law, Mr. Sullivent enjoys watching/play sports, going to the beach, and spending quality time with his financée, Brooke Belling, Esq.,and their two children Kinsley and Harper.